Steven Yeun joined thousands of The Walking Dead fans at Walker Stalker Con London to discuss all things Glenn and his projects since leaving the hit AMC show. Hollywood News Source was lucky enough to attend Walker Stalker Con London a celebration of The Walking Dead and Game Of Thrones featuring actors from the shows as well as a number of zombie related activities including an infested maze. Fans get the chance to meet the cast as well as take photos with them and get signed autographs. 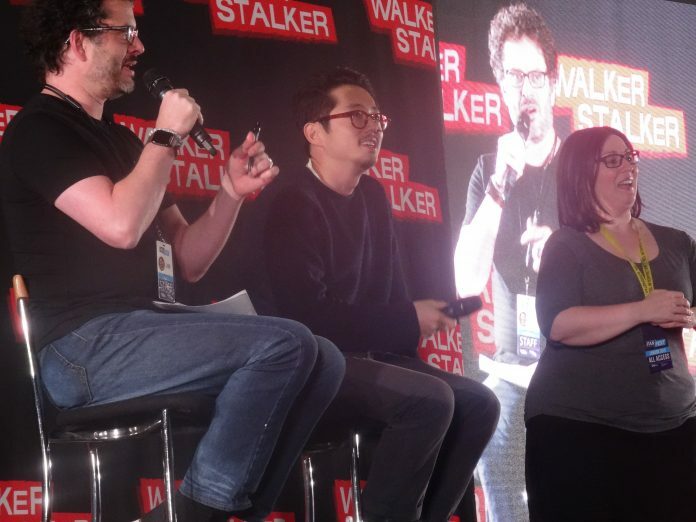 Check out our coverage of the GLENN: STEVEN YEUN Panel below. There is a great deal more coverage from Walker Stalker London to check back soon.